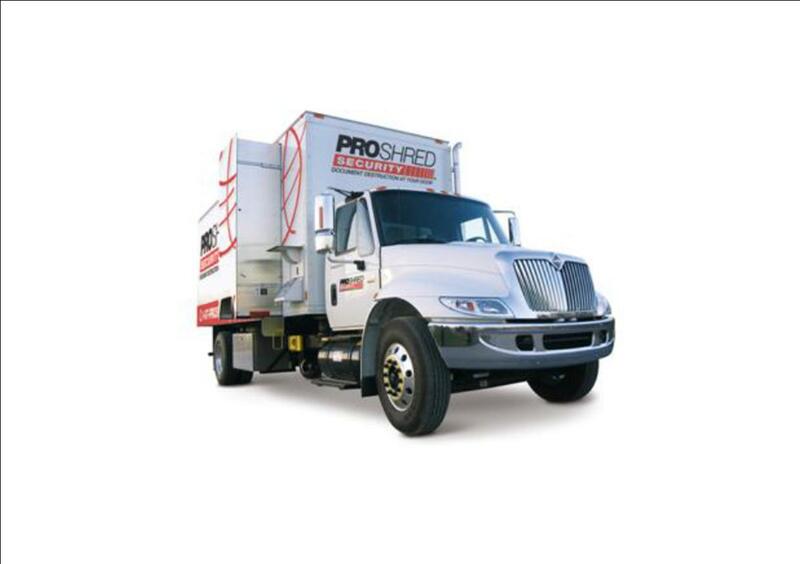 Happiness is … maintaining a stellar document-destruction policy (with help from PROSHRED of Southern NJ)! The South Jersey Spotlight returns from its sabbatical to shine on Simone Bryerman of PROSHRED Southern New Jersey. Simone is a lovely lady with a proper British accent. I could listen to her talk about document security for hours! I initially met her via Mindy Kleinman, the hardest-working marketing professional in South Jersey. We three entrepreneurial gals all drink (non-alcoholically) from the Marlton Business Association’s watering hole. At a recent MBA monthly luncheon, I couldn’t resist inviting Simone as my next South Jersey Spotlight guest. By All Writes: Why did you decide to invest in a PROSHRED Security franchise? When did you launch PROSHRED Southern New Jersey? Simone Bryerman: PROSHRED Southern New Jersey just celebrated its two-year anniversary, but the journey to opening it took a little longer. We loved the idea that it was B2B and B2C, and also fulfilled a need for our clients. Additionally, we found the franchisor and other franchisees extremely supportive. Investing in a franchise is a little like getting married–choose well, unless you want to go through a “divorce” later on. During our due diligence, Howard received an enticing job offer. But we loved the PROSHRED model so much that I went back to work full-time. My husband assists me and PROSHRED Southern NJ when he can. BAW: What specific services do you offer your customers regarding document security? SB: We provide on-site document destruction, either as an ongoing (scheduled) or one-time service. We tailor each service plan to our customers’ needs–no cookie-cutter solutions ever! Because we’re on-site while servicing our clients, they know there’s a secure chain of (document) custody in place. At the end of each service call, we provide a Certificate of Destruction. It authenticates clients’ implementation of a document-destruction policy. BAW: Who is your ideal customer? SB: They are business owners and executives who understand the importance of document security. They comply with federal and state laws that mandate proper storage and destruction of documents containing personally identifiable information (PII). Our customers tend to be passionate about maintaining an eco-friendly business while safeguarding their proprietary information. You don’t want to be the business owner whose company attracts bad PR (in print and online) regarding a security breach or information leak. Human error is the number one cause of data breaches. When one of your employees throws out sensitive information or clicks on an unsafe email or website link/attachment, the door to compromised data security opens. Our clients “get it” that outsourcing their shredding needs saves them time and money. It also demonstrates to their local community they’re serious about proper disposal of confidential documents. BAW: What is your ultimate happy moment when working with PROSHRED customers? SB: We have an inner circle of clients who follow a “shred all paper” policy. This means their employees don’t waste work time deciding whether a piece of paper should be thrown away, recycled, or shredded. Because we recycle all of our shredded paper waste, we proudly proclaim ourselves a company with “green” initiative! Our happy moment is when clients realize just how much good they’re doing by using our services. BAW: If you could relocate PROSHRED Southern New Jersey to anywhere in the world, where would you go, and why? SB: I’m a transplant from London, England, so that would be a natural choice for me–family members abound there. However: I’ve laid roots, made friends, and established a presence that has made my life in southern New Jersey a rewarding one. At this point, I think it would be difficult to leave the area. I’m so glad I don’t have make a real decision and choose! SB: I’ll risk dating myself by professing my love for author Helen MacInnes. Her books are pre-Internet spy/suspense stories–particularly her Robert Renwick series (The Hidden Target and Cloak of Darkness) as well as The Double Image and Neither Five Nor Three. I think her books hold true and resonate well in the 21st century. Her writing illuminates the mentality of terrorism, the politics of Cold War communism, and the former Soviet Union’s sly perception of itself. These elements, combined with MacInnes’s insight into human nature, produced well-written, well-paced stories that I still enjoy today. In fact, I reread several of her books at least once a year. Is your building or office suite filled to the brim with enough paper that would qualify your company as a participant on Hoarders (Business Edition)? For how much longer will you (or certain employees) continue to use a box of useless documents as an under-the-desk foot rest? Contact Simone either by phone (856-336-2820) or email (simone.bryerman@proshred.com) to propel your business closer to paperless nirvana. You’ll also find PROSHRED Southern NJ shredding its way across the online universe by way of Facebook, LinkedIn, Google Plus, and Twitter.